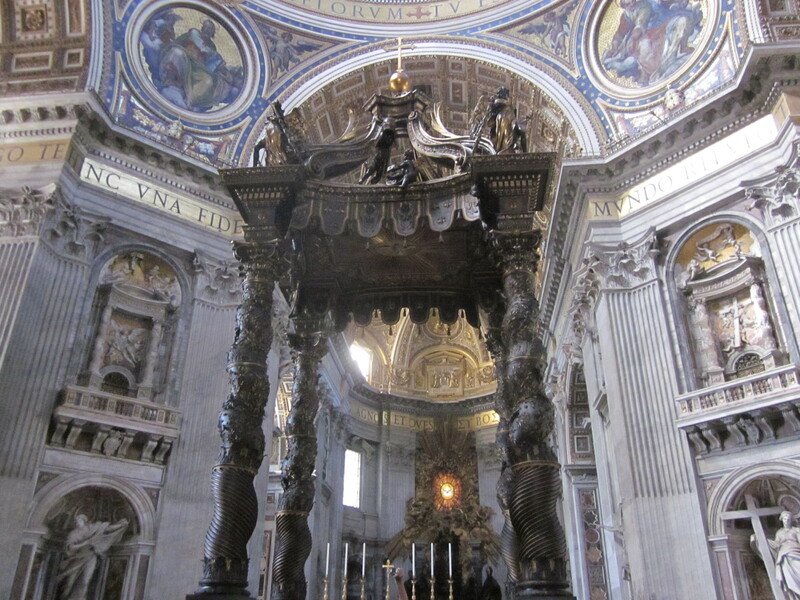 A view of the grand altar in St. Peter’s Basilica. 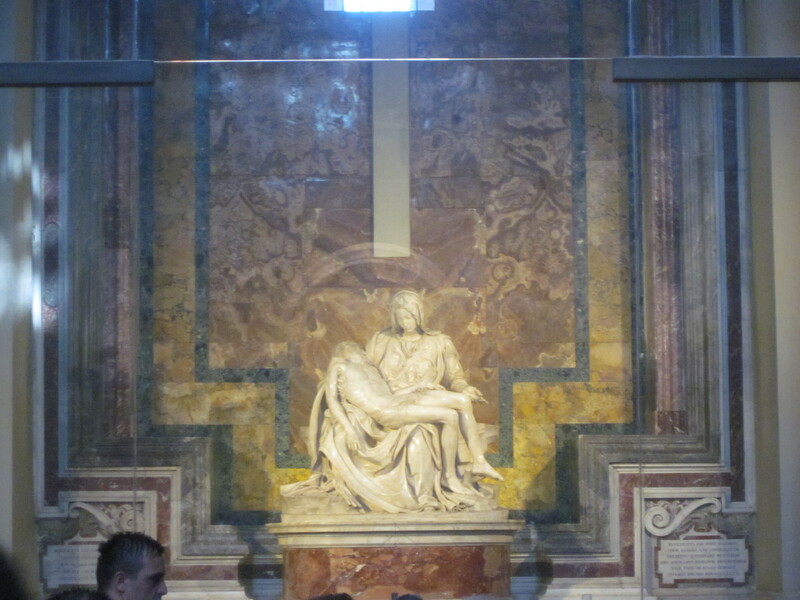 The “Pieta” by Michelangelo, commissioned in 1498 and unveiled in St. Peter’s in 1500. He was in his late 20’s when he sculpted this piece. I don’t think I’ve ever been in a place where there were more churches, shrines, statues, and paintings depicting Biblical scenes and themes than I observed in Italy. The “trappings of religion” were everywhere. The lines to get inside the major cathedral in each city (referred to as a “duomo”) often ran the length of a city block or more. 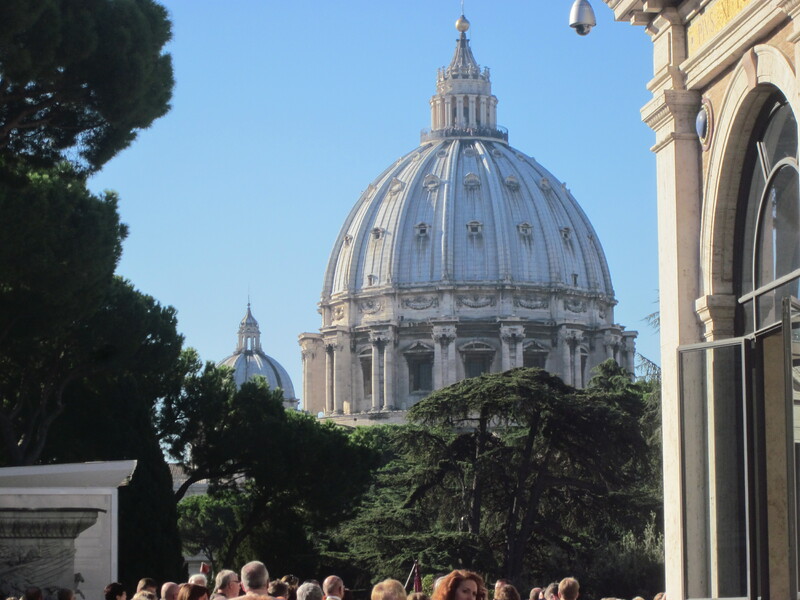 The Vatican, St. Peter’s Basilica, and the Sistine Chapel were crowded to capacity, even though we had skip-the-line passes and a guide who knew all of the easiest and quickest hallways and routes. This dome at the Vatican (completely surrounded by the city of Rome) is the centerpiece of one of the largest churches in the world. The skill of the sculptors, the architects, the builders, and the artists was astounding, almost too much to comprehend. How could a person take a block of marble and carve such details, such fluidity and such emotion into it? What drove Michelangelo to spend four years on a scaffolding on his back painting a ceiling? How could an architect even dream of such intricate and elaborate structures? 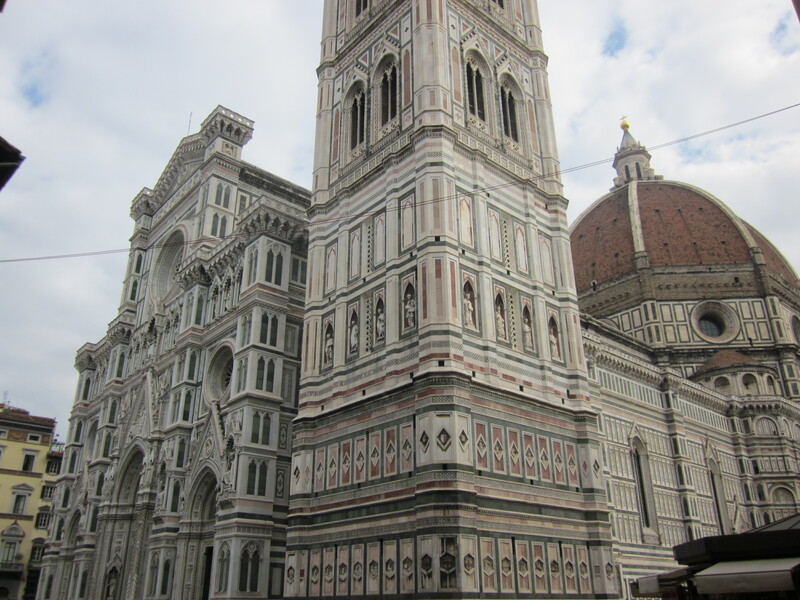 The cathedral in Florence is known as the Basilica of St. Mary of the Flower. 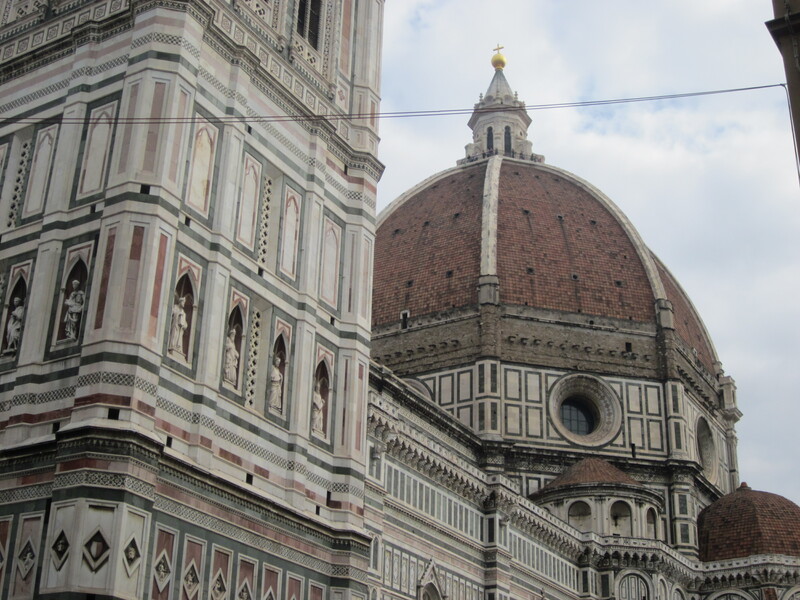 It was begun in 1296 and completed in 1436 with a dome engineered by Brunelleschi. Michelangelo, Galileo, Machiavelli and Rossini are buried inside. 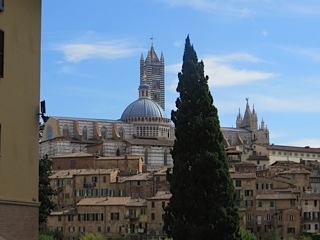 This is a view of the cathedral in Siena that has a striped design. 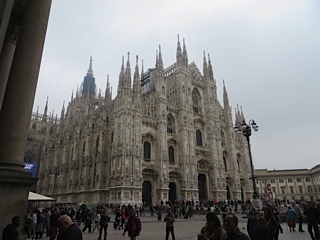 The cathedral in Milan took more than five centuries to complete. What commitment and dedication it must have taken to stay at the task over such a long period of time! 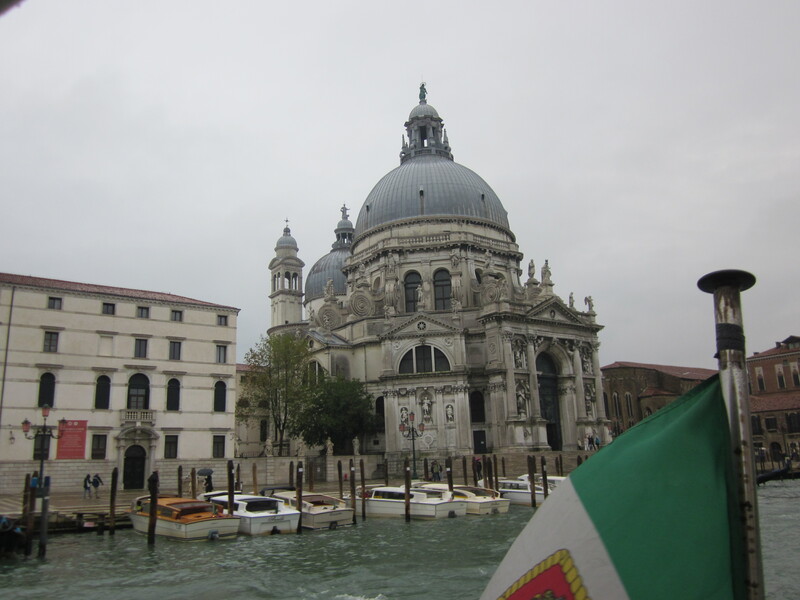 The cathedral of San Marco in Venice is best seen from the water. It is said that the remains of the Apostle Mark are buried here. The more I saw, the more questions I had. Were the lines just as long to get inside these churches when it was time for a worship service? Do the people of Italy have a strong relationship with Christ who is the REASON for all of the buildings and art? Is Italy morally strong? Do its citizens behave and think in Christ-like ways? If not, then what has changed since all of these signs of Christianity were created? Is the Bible taught inside all of these magnificent buildings? Or, are most of them primarily art galleries and historical museums? What do the Buddhists, the atheists, and the Muslims think who visit all of these famous places in Italy? Are they drawn to know more about Jesus or are they just impressed with the beautiful art? Those questions led me back to good ol’ Alabama, the Heart of Dixie AND of the Bible Belt. We have churches on every corner, but where are the Christians? How are the lives of those who call themselves Christians reflecting Christ? Do non-Christians just see buildings full of hypocrites who are making feeble attempts to follow some arbitrary rules or do they see lives that are radically different because of the saving blood of Jesus Christ? Anyone reading this have any answers? I’m listening.